The Wild Wings Educational Trust A not-for-profit organisation making a difference through education. "Education is the most powerful weapon which you can use to change the world." - This famous quote by the late Nelson Mandela sums up why we do what we do. 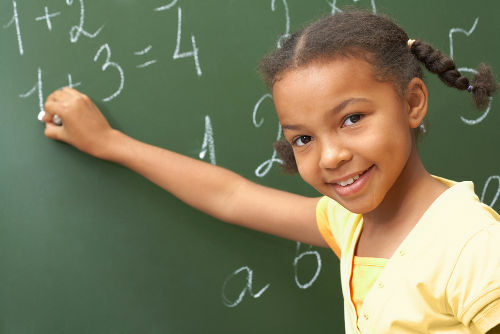 There are three ways to help African children out of poverty: Education, Education and Education. Hard work alone is not enough to escape poverty. Many African men and women work extremely hard every day just to have shelter, water and food on the table. Education, however, opens doors to a better future. South Africa is a land of contrasts. On the one hand, it is a land of beautiful scenery, unspoilt beaches and magnificent game reserves, made accessible by a modern and stable economy, first-world infrastructure and excellent airports and road network. For the most part, South Africa is a healthy democracy with a progressive Constitution, free and fair elections, free and independent media, and a vibrant and diverse population which includes a growing middle class. There is no doubt that South Africa is the richest and most stable economy in Africa, and one of the most popular tourist destinations on the continent. On the other hand, South Africa suffers from high levels of poverty and unemployment, a failing education system, critical shortage of skills and jobs, and unacceptibly high levels of crime and corruption. Vast numbers of people live in townships, remnants of Apartheid days when the wealthy suburbs were for whites only, while black people were forced to live in the townships. Almost two decades after Apartheid was dismantled, we still see millions of people living in abject poverty, crammed into tiny government houses or home-built shacks, with insufficient access to decent housing, electricity, water, sanitation, transport, healthcare and education. The problems are enormous but a key part of the solution lies in education. Decent education gives a child the hope of employment and a better adult life. A proper school education gives a student access to further study opportunities, and the chance to qualify for a profession and become employable. Decent education also produces entrepreneurs - self-starters who contribute to the economy by starting up businesses and creating jobs. Education is the only long-term solution to poverty. While we don't expect to solve all the nation's problems or eradicate all poverty and unemployment, we believe we can make a difference locally. We can influence and assist individual children and schools. To those we are able to reach, we can offer hope of a better future through education. The Wild Wings Educational Trust aims to develop some of the leaders, entrepreneurs, business managers, strategic thinkers, economists, engineers, scientists and policy makers of the future. We understand that education starts at home, and that success at school depends to a large extent on the foundation that was laid in the first seven years of a child's life. 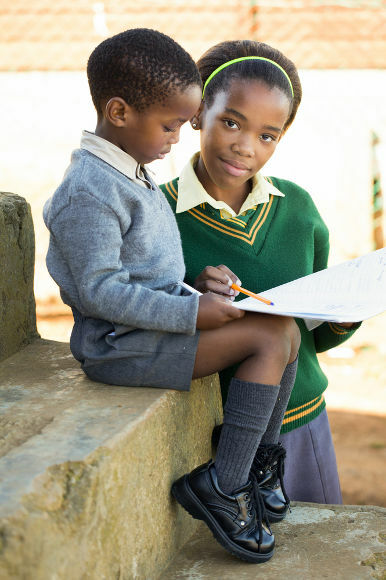 Our strategy is to partner with parents, pre-schools, primary schools, churches and community organisations to improve educational opportunities to disadvantaged children in South Africa. Please see the About page for more detail about the Trust and the team behind it. Then browse our Projects page to see some of the specific projects we fund. We hope you will be inspired by what we do, and choose to contribute to help us make a difference in the lives of disadvantaged children. For information on how you can contribute, please see the Donations tab in the top menu. The Wild Wings Educational Trust is a registered charitable trust and Public Benefit Organisation, which exists to offer disadvantaged children a brighter future through better educational opportunities. We achieve this through supporting and funding existing community projects, helping under-resourced township schools, and providing full scholarships for promising and talented children from impoverished backgrounds to attend a top private school in George, South Africa. The Trust was launched by Wild Wings Safaris, a small, family-run, inbound tour operator with a strong sense of social responsibility. Our head office is in George, South Africa. Funded by an initial contribution from Wild Wings Safaris, the Trust relies entirely on donations and offers tourists who visit South Africa the opportunity to make a difference to local communities and individual children, by voluntarily donating a small percentage of their trip costs to the Trust. What makes this organisation unique is that none of the funds raised are used to cover overheads and pay salaries. All the administrative costs, office space, salaries and other overhead costs are covered by the parent company, Wild Wings Safaris. The Trust therefore has very few expenses of its own. This allows every Rand or Dollar that is donated to benefit the children we reach through our projects and scholarships. One of the few expenses we do have is to conduct an annual independent audit of our finances. We place a high value on absolute integrity, accountability and transparency, and our audited financial statements are freely available on request to any donor. To find out more about how we operate, how we raise funds and what we spend that money on, please see the About Us tab in the top menu.